The Berkeley Institute History Room has been a beehive of activity as organisers of the school’s 120th Anniversary Alumni and Currents Students’ Art Show collect work from the various alumni who are contributing art work for both the show and silent auction that will also take place during the week of 13th – 21st April 2018. 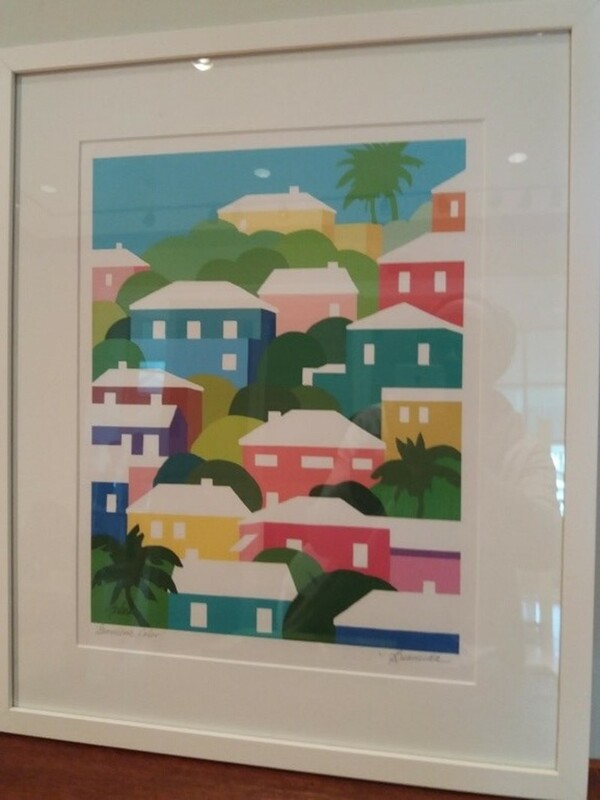 Mr. Steve Smith and his team of volunteers started accepting art work on March 26th, and by Wednesday of the same week they already had in hand works from alumni artists such as Charles Lloyd Tucker, Otto Trott, Joan Forbes Darrell, Elizabeth Ann Trott, and Dame Jennifer Smith. A spokesperson said, “But did you know that the wives of two of the former principals of the school are artists in their own right? “Mrs. Eloise Furbert, wife of former principal Mr. F. S. Furbert has donated a wonderful piece titled ‘Old Town Harbour View,’ while the piece from Mrs. Florenz Maxwell, wife of former principal Dr. Clifford Maxwell, is titled ‘Boy With Flowers.’ In addition to being wives of former principals, both these ladies are alumni of the school. 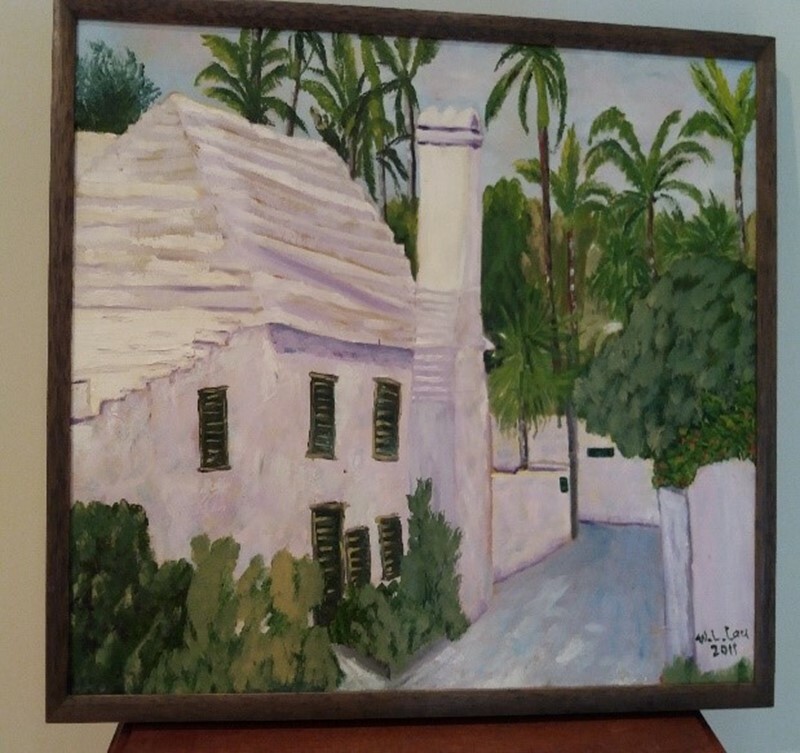 “Although most of us know that renowned artist Mr. Charles Lloyd Tucker was a teacher at The Berkeley Institute, there are other alumnae who were/are teachers at The Berkeley Institute who have also contributed some outstanding art to the show. “Teachers from across the school system have contributed work including Dr. Jolene Bean, Mrs. Lavern Lau, Dr. Nathalie Landy and Mrs. Shirley Pearman. “Just in case you think this is a ‘teachers’ art show’, please know that other alumni who are not teachers have also contributed and there will be current student work which will be collected once the Senior and Middle School Arts Exhibition at the City Hall has finished. “Mr. Smith and his team encourage the entire community, including alumni and present students; and parents to come to see the depth of talent on display from the alumni and present students at The Berkeley Institute. “Also for those collectors of local art, don’t forget to come and participate in the Silent Auction. The Silent Auction will run from Opening Night on Friday 13th April 2018 until 4.00pm on Saturday 21st April, the final day of the show. Admission to the exhibition and auction is free. For further information, please contact Mr. Smith via smarcols@northrock.bm or by phone at 337-7798 or Mrs. Marva Bridgewater via antoinettemb65@gmail.com or by phone at 599-3723.